Earlier this month, EMA CEO, Debbie Levin was Honored at Fundacion Recyclápolis' fifth annual Awards Dinner. Debbie, who is no stranger to Awards shows, was Honored along with Laura Turner Seydel, President of Captain Planet (a longtime EMA Board Member), and Dr. Enric Sala of National Geographic (a past EMA Honoree) - Alex Muñoz, Director Para América Latina Prisitne Seas, accepted on behalf of Mr. Sala. Since taking the helm at EMA in 2000, Debbie has transformed being eco-conscious from a movement to a lifestyle. From launching the Toyota Prius to creating the EMA Green Seal, bringing three high-profile annual events to a global public, Debbie has emerged as a true and unique thought leader uniting environmental awareness with entertainment platforms and people. You would be hard-pressed to find an individual more deserving of recognition such as this. Recyclapolis Foundation is a not-for-profit organization that was founded by Fernando Nilo in 2012 after he created the first waste recycling social enterprise in Latin America. Recyclapolis aims to promote sustainable development in Chile.Past International Awardees include HSH Prince Albert III and David Rockefeller Jr. The Recyclapolis National Environmental Awards is the Foundation's flagship initiative, which recognizes projects and companies that have made a contribution to the environment. The event is co-hosted by the Chilean Ministry of Environment, among others and has been running for the past five years. The Mayor of Santiago, our American Ambassadors and Chilean CEO’s and dignitaries were all in attendance. The Awards dinner took place under the stars at the historical and picturesque Santa Rita Winery in Santiago. The charming Morgan Lynzi Emceed the evening's event, which featured speeches from all three Honorees as well as the Minister of the Environment, the Mayor and the incredible Host of the evening (and the surrounding festivities), Fernando Nilo. And yes, the most delicious and sustainable wine flowed freely throughout the evening. "The story of our inescapable green revolution is the most important story of our generation. We know that for every baby born and every citizen of our planet, we need to make this story our reality. As you all know very well, sustainable solutions are here, and you all are huge keys to this metamorphosis." Founded in 1880 the winery is a testament to environmental stewardship, showcasing that when you treat the land with respect, you can harvest a high-quality product year after year. Debbie, along with the other Honorees, had the pleasure of staying at the charming Casa Real Hotel right on the winery. Debbie's week in Chile was a whirlwind of activity. 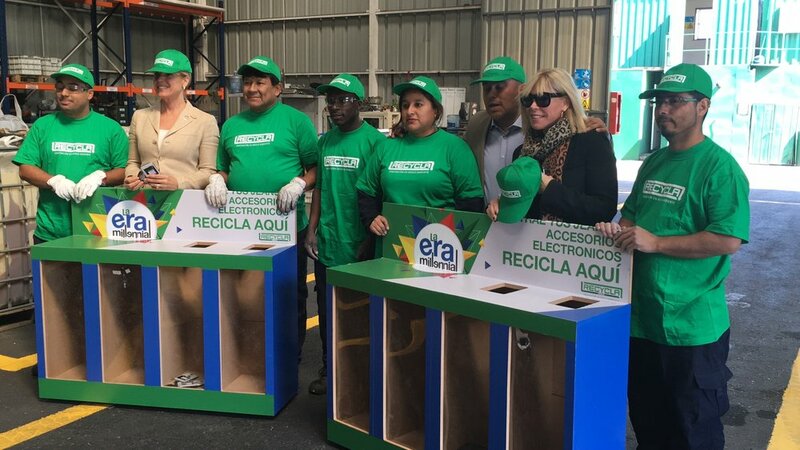 From visiting the country's first E-Waste recycling facility to meeting with Carolina Schmidt Zaldívar, Minister of Environment and Felipe Alessandri Vergara, Mayor of Santiago, Debbie was able to learn about many exciting environmental initiatives firsthand. 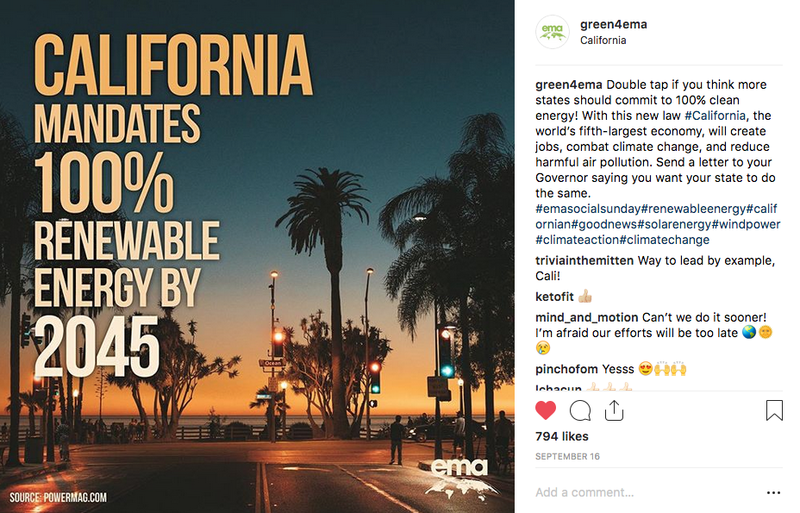 The enthusiasm for being green transcended just politics and business. Debbie spent time with the Head of Chile's Catholic Universities as well as Claro & Cia. the top law firm in the country. It seems as though all of Chile is on board with going green. The parallels between Chile and EMA's messaging, especially with our IMPACT Summit, are apparent. Being green is good for business, which is why Chile emphasizes the economic opportunities of sustainability. Chile has banned plastic bags, agreed to the Paris Climate Accord and (thanks to Mr. Nilo) is a leader in e-waste recycling. We look to bring Chile as a true partner in our journey to 100% renewables and support them as they work to bring their country into this sustainable future. Debbie would like to extend huge thanks to Fernando Nilo and his beautiful and warm family and the staff of his Foundation. Every detail was anticipated to share his magical country with her during her week-long stay. He was an incredible host, guide and friend. She’d also like to thank the amazing hospitality and friendship of the gracious Santa Rita Winery family, Chairman of the Santa Rita Winery, Balthazar Sanchez Guzman and Elena Carretero Gomez, Corporate Affairs and Sustainability Director and everyone else who made her trip so warm and inviting. We are pleased to announce the appointment of Paul Sposare as our new Executive Director. Paul has been in the EMA family for over a year, working as the Director of Sales and Marketing at the Montage Beverly Hills - the location of our annual IMPACT Summit & EMA Awards as well as the first recipient of our EMA Green Seal for Hospitality. Paul’s 30 years of experience in the hospitality industry uniquely positions him to help EMA as we continue to grow our ambitious programs and international impact. A passionate environmentalist, Paul was so taken with EMA’s mission that this created a life-changing pivot into a career that will not only enrich his life but touch the enormous community that we at EMA strive to educate. We couldn't be more excited to have Paul on our team. "I am thrilled to be a part of the EMA family. It is an honor to be able to take my 30 years of hospitality and marketing knowledge and apply this to make a positive impact on our planet. 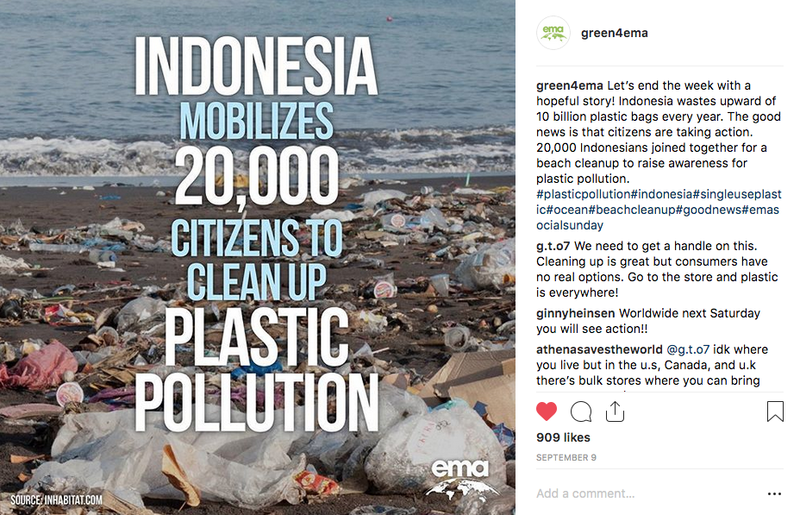 I am excited to work with Debbie and the EMA team to make our presence as powerful as possible and influence how people’s choices can significantly impact our world." - Paul Sposare, EMA Executive Director. Barry's, the original boutique fitness studio, is turning 20. As a pioneer in health and wellness, with 50 studios globally, the brand is pledging to implement many environmentally sustainable practices in all its studios, including reducing single-use plastics, making changes towards eco-friendly cleaning products and more. Barry's has partnered with EMA to make these changes. And because the Barry’s community like to work(out) hard and play hard, they are hosting a 20 year Birthday party to raise awareness and funds for EMA. Join Barry’s and high-profile musical acts for a night of dancing, drinking, eating, games and more. Is The Seafood You're Eating Sustainable? There's an App for That! In honor of National Seafood Month, EMA joined forces with our friends at Monterey Bay Aquarium and its Seafood Watch program to get people to download their sustainable seafood app. The Monterey Bay Aquarium Seafood Watch program is part of the Aquarium’s comprehensive effort to address the sustainability of global fisheries and aquaculture, through policy initiatives, scientific research, business partnerships and consumer engagement. Seafood Watch empowers consumers and businesses to choose seafood that's fished or farmed using responsible methods. Their science-based recommendations rate seafood using a traffic light system (green Best Choices, yellow Good Alternatives and red Avoid). Seafood Watch has over 1,200 recommendations covering 85% of the US seafood market. Since 1999, they have distributed over 60 million consumer guides and their free app has been downloaded over 2 million times. 1. Take Part in the Seafood Month Photo Challenge! Help make the sustainable seafood app famous by posting a photo of yourself cooking with the Seafood Watch app and posting a photo of your seafood dish for the National Seafood Month Photo Challenge. Download the Seafood Watch app from the app store. 2. Download the App and Share on Social! Please RETWEET and SHARE our posts on social. Be sure to follow Seafood Watch and Monterey Bay Aquarium on social!